Cancer is a disease of uncontrolled proliferation. As cells are pushed into shorter cell cycles, they experience replication stress, which drives genomic instability and disease progression. While this is generally true for all cancers, it is exemplified by colorectal cancer, which is the third most prevalent cancer in the world, responsible for over 700,000 deaths every year. In 15% of these cases, the underlying cause is inactivation of mismatch repair (MMR), the major pathway for repair of replicative errors. This means that unrepaired errors introduced during normal chromosomal DNA replication are sufficient to drive tumorigenesis. Replication accuracy is not equal across the human genome. Certain regions, especially repetitive and structure-prone sequences, present a challenge to the replication machinery. This manifests in MMR-deficient tumours as genetic aberrations of short repetitive sequences termed microsatellites. While microsatellite instability (MSI) was adopted very early on as a diagnostic and prognostic cancer marker, it is now thought that MSI also plays a causative role. Multiple tumour suppressor genes, such as APC and BAX, harbour frameshift mutations in coding microsatellite regions in MSI-positive tumours. 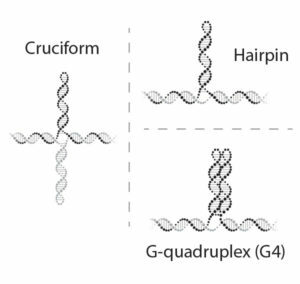 In addition to the canonical B-form double helix, DNA can adopt a variety of unusual (and potentially toxic) structures. It is thought that multiple pathways, such as transcription, replication, recombination and repair, all induce such structures. But it is unclear whether replication on its own is sufficient for this, and how pre-existing structures effect replication dynamics. Why are certain genomic regions more difficult to replicate than others? What are the mechanisms that facilitate their accurate replication? How does this go wrong in disease and how can we intervene? We know remarkably little about the events that occur as the replication machinery encounters challenging templates. 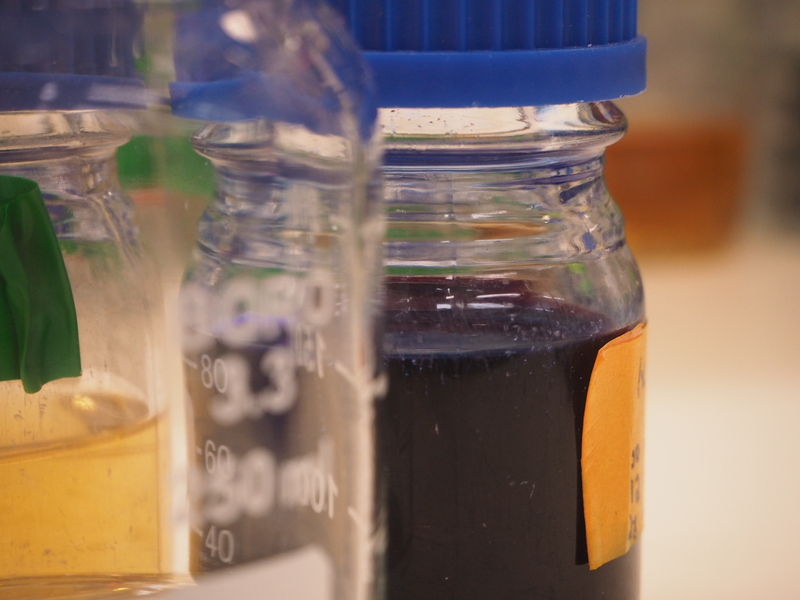 We are working on closing this knowledge gap, with the hope of identifying novel therapeutic approaches and potential drug targets. It may also lead to improvement of MSI as a diagnostic and prognostic marker. For example, compounds that modulate the accuracy of repeat replication may suppress the occurrence of driver mutations within coding microsatellites in MMR-deficient patients. Most of our understanding of the interplay between repeats, replication and genomic instability stems from studies of one specific category of microsatellites – trinucleotide repeats (TNRs). Expansion of TNRs causes a multitude of heritable neurodegenerative disorders such as Fragile X syndrome and myotonic dystrophy. Over two decades of genetic studies have revealed that repeats can impair DNA replication in vivo and that replication can induce repeat instability. However, additional DNA metabolism pathways are also implicated in repeat instability, and definitive mechanistic insight is lacking. 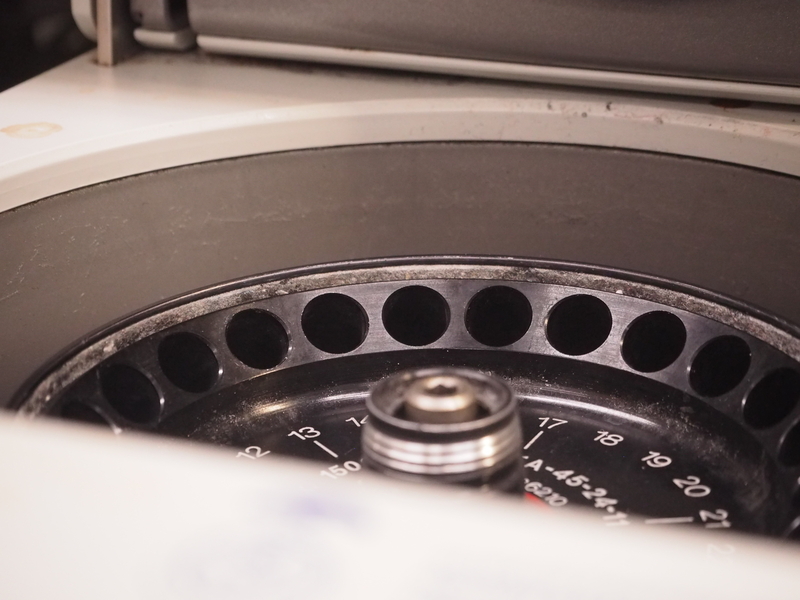 We are using a highly defined eukaryotic reconstituted replication system, complemented with structural, genetic, proteomic and cell-based approaches. 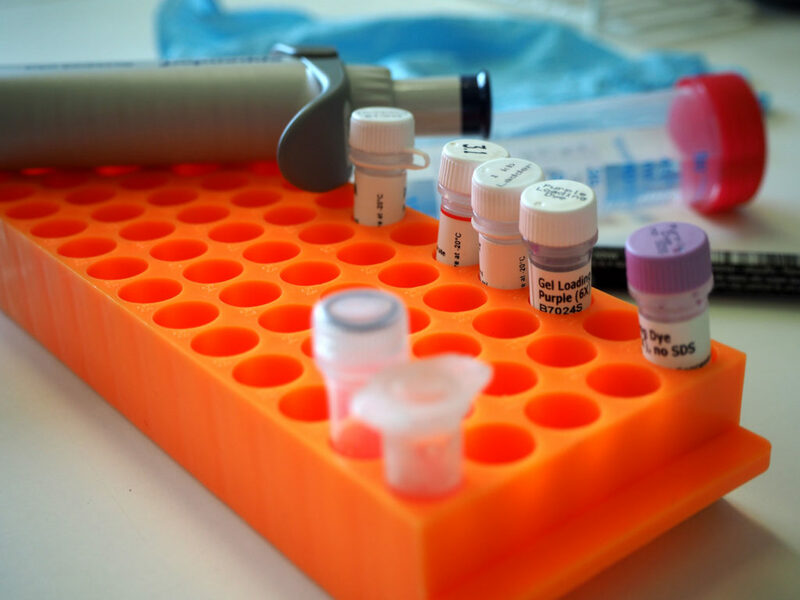 The results will unravel the mechanisms that dictate the fidelity of repeat replication, will contribute to our understanding of cancer aetiology and may also uncover exciting new approaches and targets for cancer therapy. Repetitive sequences are genetically unstable. 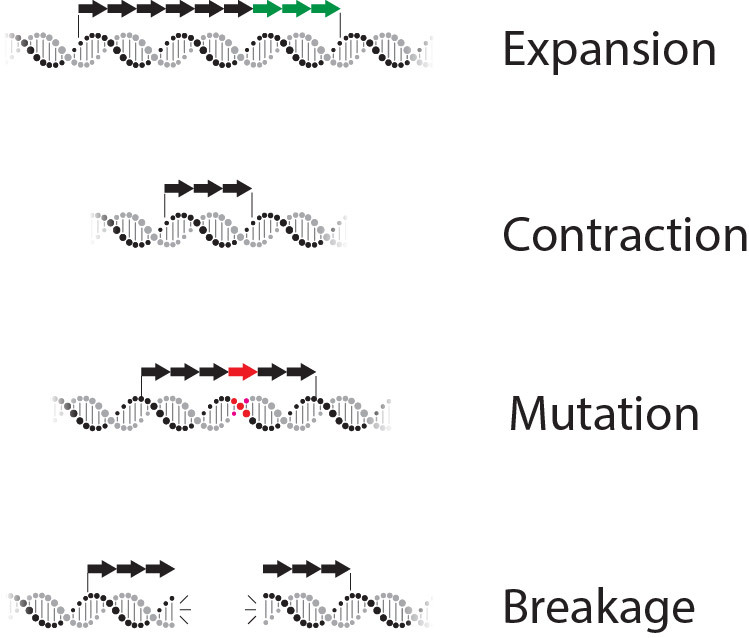 They are prone to a variety of heritable changes, including addition or loss of repeat units (expansion / contraction) as well as mutations and double strand breaks.